Microsoft offers many email applications like MS Outlook, Outlook Exchange, Windows Live Mail and Microsoft Exchange Server. Microsoft Exchange Server provides easy sharing of documents, secure environment and online exchange. It stores all information in Exchange Database. Exchange Database files or EDB files store information in two separate files Private Information file (Prive1.edb) and public information file (Pub1.edb). Sometimes we need to migrate from EDB to PST due to various reasons like server maintenance, organization migrating to different server or to transfer EDB data to another user. For that we need to convert EDB to PST. 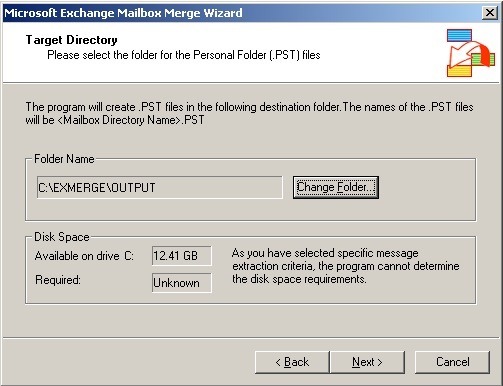 An easy solution to convert data from EDB to PST free is by Exmerge.exe tool. ExMerge is a free tool provided by Microsoft. It not only converts data but also removes duplicate documents and store copy of files. First you need to install Exmerge.exe tool in your system. Important Note: The System should have MS Exchange Server and appropriate tools. 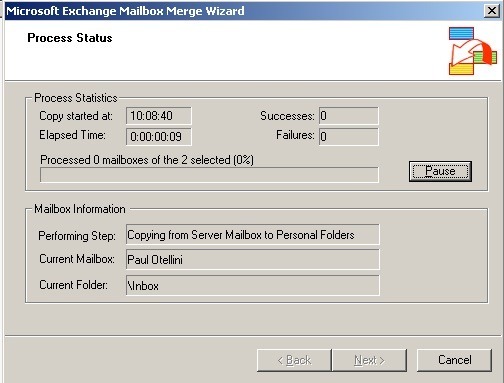 Run the exe tool and login to Exchange Server. The MS Exchange window will open, Click Next. 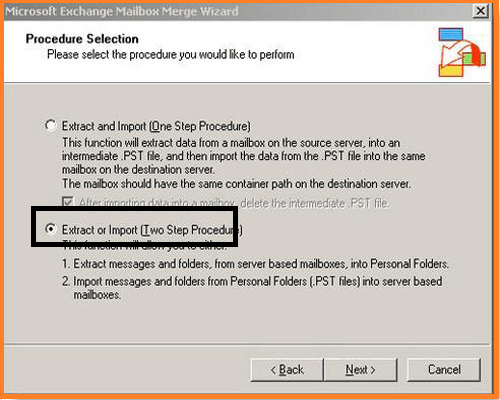 Select Extract or Import (2 step procedure) and click Next. In the Data selection criteria dialog box go to Import Procedure tab and select Archive data to target store and then Ok.
Click on Message Details and after entering Information click ok.
MS Exchange Mailbox wizard will open. Select the required Mailbox and click Next. Select the directory where you want to save Outlook PST file and confirm location by clicking on Change Folder. Finally click on Finish. After successful transfer your EDB files will be converted to PST. Using ExMerge.exe is a time consuming process. To instantly convert EDB to PST then you can use third party EDB to PST converter which repair damaged EDB files and recover lost data. The tool converter restore messages, attachments, contacts, calendars, tasks, notes, permanently deleted emails, sent emails and folders back to a new PST. It converts file both in Online and Offline mode. EDB to PST supports MS Outlook 2000/2002/2003/2007/2010/2013 and 2016 and is compatible with all editions of Windows Operating System up to windows 10. You can save converted PST file in EML, MSG, RTF, PDF, HTML format. It also allows exporting offline EDB files to Office 365 and Live Exchange Server.